Looking for Christmas hallway inspiration? 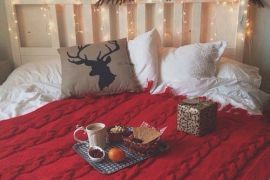 These 8 ideas from The Wooden Furniture Store will turn any humble hallway into a grand Christmas spectacular! 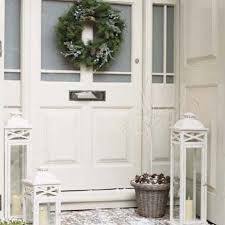 Before you start planning your Christmas hallway, make sure your home’s entrance is clean and clear away any clutter. Most hallways have a recurring problem of too many coats and shoes and general “just walked in the door” chaos. Here our our solutions. If you’re expecting lots of visitors this Christmas, nothing looks more welcome that a coat rack. Our Mobel Oak design has four steel hooks and a useful shelf – perfect for placing a few twinkling battery operated tealights on. 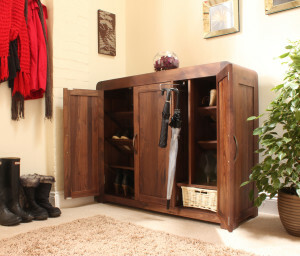 Invest is a shoe cupboard to introduce some order into your hallway. The Shiro Walnut extra large shoe cupboard is one of our favourite shoe storage designs and is a stunning piece of furniture in dark wood. 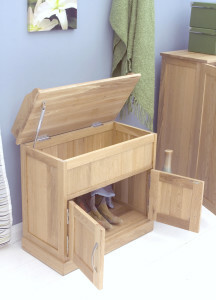 The cupboard holds 20 pairs of shoes and comes complete with a wicker storage basket and an ingenious umbrella rail. 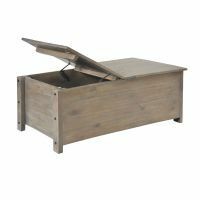 If you’re looking for something a bit smaller what about the Mobel Oak shoe bench with hidden storage? 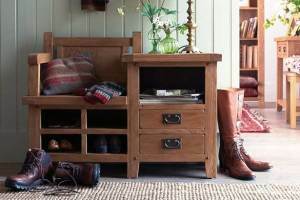 Shoes can be stored in the cupboard and the bench seat lifts up to reveal an additional storage compartment. 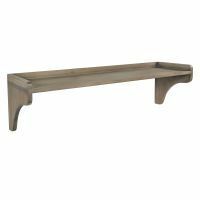 The shoe bench is made from solid oak and is finished with brushed steel handles. 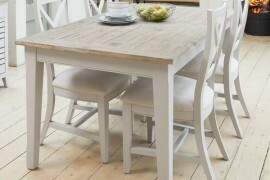 The Dulverton Oak hall bench is a beautiful design and would be a stunning addition to any hallway this Christmas. 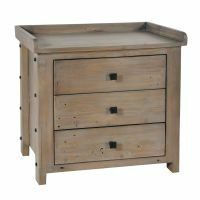 The bench includes a single seat with 4 shoe spaces underneath and 2 drawers on the right which are finished with a dark metal handle. 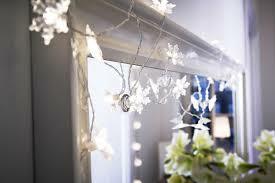 Remember to give your hallway furniture a festive touch. 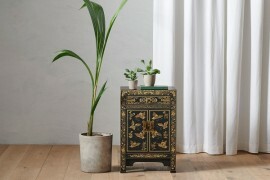 A vase with a few branches hung with Christmas decorations makes a simple table top tree and would look wonderful on top of any of the shoe storage units. 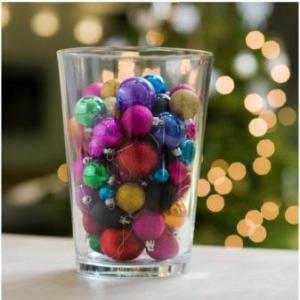 Or what about a large glass vase filled with Christmas baubles? 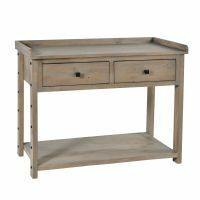 De-clutter surfaces and tidy away bits and bobs into the baskets of this beautifully cream Cadence console table which is crafted from solid mahogany. 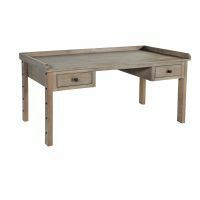 For extra storage, this elegant table has three drawers and a lower fixed shelf. 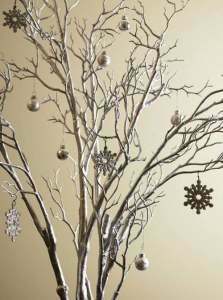 White with touches of silver can make a gorgeous combination for a magical Christmas scheme. 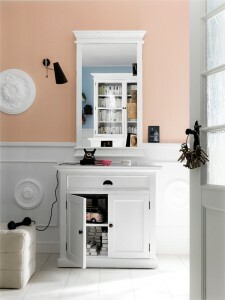 We love this Whitehaven mirror which is crafted from solid mahogany and given a white paint finish. 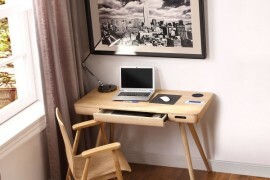 The frame shape is simple and elegant and would suit any hallway. 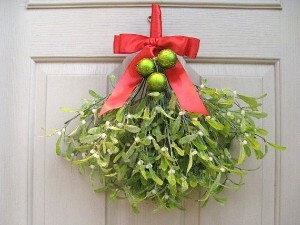 Christmas simple isn’t Christmas without some mistletoe – hang it high above your front door using a length of ribbon. And make sure your front door doesn’t let your festively decorated hallway down. 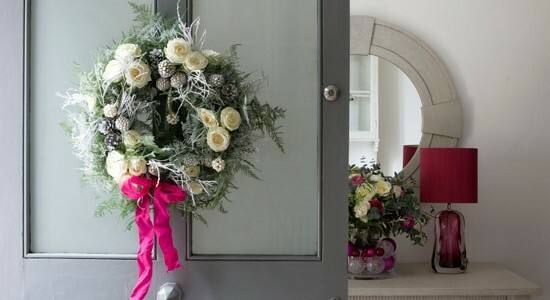 Hang a classic winter wreath on your door to welcome guests. To view more hallway furniture ideas click here. Remember that our cut off date for guaranteed Christmas delivery is the 5th December.